The Nokia Lumia 930 was first announced back in April, and is expected to be made available to consumers very soon. The Lumia 930 is the company's first flagship Windows Phone 8.1 device and you can now download the 20 official wallpapers which will eventually make its way to the hands of Lumia 930 users. 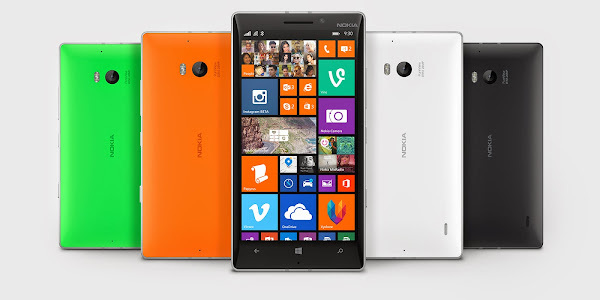 The Lumia 930 is visually similar to the Nokia Lumia Icon, which was exclusive to Verizon in the U.S. The Lumia 930 on the other hand will make its way across Europe, Asia, and the Middle East. The only differences between the two lie in dimensions and weight, and even then they're minuscule. The Lumia 930 features a 5 inch 1080p AMOLED display, a massive, 20-megapixel rear camera with a dual LED flash and f/2.4 lens and a quad-core Snapdragon 800 processor with 2GB of RAM.